FREE SHIPPING ALL ORDERS $200 AND UP! As technology invades our homes just as they have done with our workplaces, high security padlocks and keyless Push-button door locks designed by major brands such as Schlage Locks or Sargent Locks would become even more predominant all across the world. Most high rise residential towers in metros and even standalone houses in semi urban areas have started using digital door locks and Keyless combination door locks. Popular perception goes with the belief that keyless Push-Button door Locks are more secured and nullify the hassles of carrying the keys with you everywhere you go. 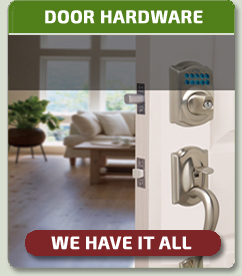 These two reasons are of course the foremost ones why anyone should be considering digital locks and Pushbutton Locks. Anxieties associated with losing the keys, managing two or more sets of keys which most families have to do and also the easy manipulation of conventional locks that are a cakewalk for any experienced thief or burglar are all countered with keyless Push button locks. However, keypad locks and keyless door electronic locks also have several other benefits. 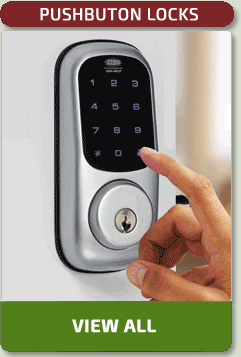 Keyless electronic locks can be of various types. There are mechanical push button door locks, digital locks that work on electric current using electromagnetism and others. 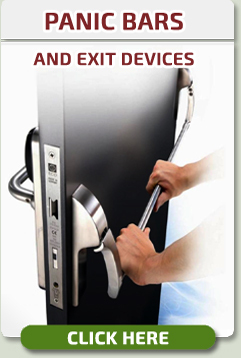 These keyless door locks are very easy to install and they do not require any further investment in the near future. With archaic locks, losing keys or suspecting a compromise of security would lead to changing of the locks and that can be costly. You can simply change the passcode or the pin of the digital locks and you are sorted with keyless lock doors should you feel any need of it. A major benefit of using push button door locks or digital locks is that these keyless door locks maintain records of entry and exit every time they are used. Also the sheer variety of keyless Push Button Door Locks and how they can be operated can be very intriguing. There are digital locks that use numerical codes, paraphrases or normal alphanumeric passwords, some use swipe cards or access cards, biometrics have become common and radio frequency identification based cards are also highly prevalent. There are hordes of keyless door locks that you can choose from and considering contemporary preference of homes, exteriors and interior designs, the push button door locks or digital locks would accentuate the elegance and styling of your house. American Locksets keypad locks brings to you about 70 reputed brands from Schlage Locks and door hardware to Yale Door Locks and Sargent Locks who manufacture all types of keyless door locks and you have the liberty to choose your budget, preference, brand and everything you want to consider prior to selecting your next set locksets. Browse through our large selection of alarmed exit devices, panic bars and panic hardware, designed for all commercial doors by our major brands to fit your local building codes and fire safety requirements.